As a brokerage firm, our job is simple: we offer financing solutions to meet buyers’ needs. We are known for our excellent service, because what matters most to us is customer satisfaction. We want you to know the power of leasing as a sales tool. At Leblanc Financial Services, you will find a team of experienced professionals offering effective, customized solutions. Our mission is to facilitate equipment financing for your customers in order to increase your sales. We will meet all your customers’ financing needs as quickly as possible, allowing you to make more sales! 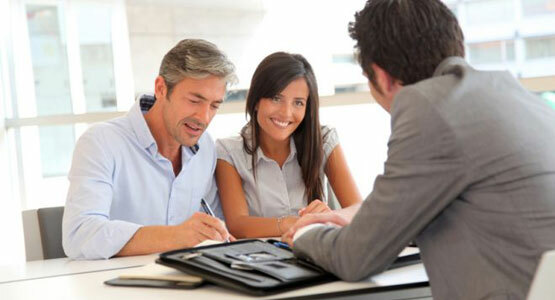 At Leblanc Financial Services, our lender network includes a multitude of financial institutions. There is most likely at least one among them that will agree to finance your customers’ equipment purchases. When you place your customer in our hands, we listen carefully and empathetically in order to define a financing strategy that is appropriate for them. Over the years, we have demonstrated a unique ability to find innovative financing solutions for buyers, time and time again. Our service is personalized and fast, to our clients’ greatest satisfaction! We take the time to analyze the client's tax structure so that they can take advantage of any tax benefits related to their financing. Interest rates are set according to credit quality: every client gets the rate associated with their credit rating, so there is no negotiation – the credit score dictates the rate! Contact us to access your portal.